LIVING FOSSILS prove nothing! All survivors are living fossils. Why make so much of them? The original question was: Why do you people get so fascinated with living fossils? After all, any survivors from evolution would, by definition, have to be living fossils. It doesn’t prove a thing. His original context was in England where they had begun planting Gingko trees everywhere. 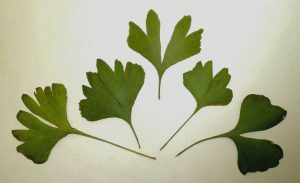 Ginkgoes had been found living in China and were bought into England. By Darwin’s time, (middle to late 1800’s) the Ginkgo was becoming a widespread street planting. Some in England who were fossil collectors, had long known about Ginkgoes, but only as fossils from the Jurassic shales around Yorkshire. The picture above this answer is a fossil Gingko we collected from Yorkshire. It was evident to Charles Darwin and his colleagues, such as Charles Lyell, that the living Gingko and the fossil one are for all practical purposes the same. Hence Darwin’s term ‘living fossil’. What’s the fascination for us? The answer is simple: Darwin was the first person to invent a scientifically testable thesis on whether Creation was true or not. His Theory of Evolution contained a simple thought. If life has evolved from simple to complex, from molecules, to cells to seaweed to plants on land, or some cells had become animals and birds, then there should be an obvious progression in the fossils. Simple kinds of creatures should step by step become more complicated via natural selection. Darwin, who graduated with an M.A. in Theology, knew very well that the Bible’s position was totally different. Ten times in Genesis chapter 1, the Biblical record declares God created things “each according to their own kind”. Therefore the origin of plants had nothing to do with the origin of animals. The origin of fishes was not connected to the origin of birds, and neither was the origin of seaweed involved in producing orange trees. Here was a distinguishable test. If Darwin was wrong, and Genesis right, then creatures should appear distinct and separate in the fossil record no matter how old you thought rocks, or no matter how you thought the creatures had become fossilised. The Gingko was a viable test. People who believed Darwin’s and Lyell’s long ages were fascinated because they thought the Gingko had survived in isolation for millions of years in China. The plant experts were also fascinated because of how little it had evolved at all. As Darwin declared in his definition – the living one and the fossil one are for all practical purposes the same. Over the years I have gathered a huge collection of fossil Gingkoes from the around the globe, starting with our Triassic coal-bearing shales in Ipswich (Queensland, Australia) when I was a student many decades ago. Gingkoes from all geologic strata are now to be found in our Creation Research collection. Here are some of them. Anyone looking for evolution in Gingkoes will be really disappointed, as the biggest change to be found is merely in leaf division numbers. This has nothing to do with evolution. It is just a normal variation, as can be seen in the leaves in this photo, which were all picked from one tree. To Darwin’s identification of the Gingko can be added the most famous living fossil of all, the Coelacanth, one of which is also in our collection. So why are living fossils important? Any creature that has survived unchanged down to today is a living fossil. But what’s more important is that the living fossils are not merely the same as the ones in the rock. The gaps between the living creatures – the visual and genetic distance between them, turns out to be the same as the gap in the fossil record. It was this factor that persuaded me when I was a student in the Queensland University Geology Department to question the theory the evolution and ultimately abandon it, long before I accepted the Biblical teaching of Creation “after their kind”. And Carter claimed this was true of every group he had studied. After 50 years of collecting I can confirm his words are accurate. Prof. E.J.H. Corner (Professor of Tropical Botany, Cambridge University), in ‘Contemporary Botanical Thought’, Oliver and Boyd, 1971, p.97; also found in ‘Evolution in Contemporary Botanical Thought’, A.M Macleod and L.S. Copely (editors), Quadrangal Books, Chicago, 1961. To understand Corner’s thought pattern you have to ask why he would have said that? Being a Cambridge Professor in a University that has a long history of relationship with the Christian Church, and therefore a passing familiarity with the Bible, Corner was aware that the first pages of Holy Scripture, refer not only to a Creator and a creation, but to all life forms being created as separate kinds. The history of Biology reveals that the word genus as in ‘genus and species’, is actually borrowed from the Latin edition of the Bible (Genesis chapter 1 verse 11). The Latin word ‘genus’ is translated into English as the word ‘kind’. In Genesis 1 we read 10 times that God created separate Kinds. In other words the major groups of creatures have always been separate and unrelated. No matter how they got into the fossil record – life’s family trees will never link up to a single common ancestor. And Professor Corner was convinced that the fossil record supports that claim. Now that I’m familiar with the both the Biblical text and have an enormous fossil collection I have found from all over the planet, I am convinced Professor Corner is also correct. Living fossils are vitally important because they are a predictable result only from Biblical Creation being true and a devastating denial of evolution as the history of life. And don’t hang round waiting any longer for the missing links to be found. We have been waiting for over 150 years now, and it hasn’t happened yet. That is why living fossils fascinate us, and they should fascinate you with the reminder God’s Word in Genesis is true. Darwin’s ‘tree of life’ was a check on the falsifiability of Genesis. If Genesis was true then no single family tree would exist. If Genesis was false and evolution correct then a family tree should exist that showed different kinds branching out from a common ancestral species. Since it doesn’t Darwin has been falsified. Genesis has been vindicated. Of course there is a long term punch line. The Creator only expects us to believe something because it is true. We all live in a world where the only thing we see is living things producing their own kind. It is why God will hold you accountable for calling him a liar if you accept Attenborough’s nonsense, Dawkins deceit or Darwin’s revenge against God for the death of his daughter Annie. For more examples of living fossils see the article Living Fossils. PDF here. KIND? 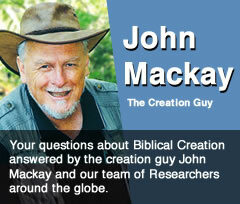 Creationists use the word Kind, but never define it? What do you mean? Answer here. SPECIATION? Is speciation a fact, and does this prove evolution? Answer here. GALAPAGOS Island finches have shown new evolution recently, so how do you explain this? Answer here. COYWOLF: The coywolf has appeared within the last century. Has a new species evolved? Answer here. HUMAN EVOLUTION? Does it create any problems for Christians who believe it? FOSSIL LEAF? 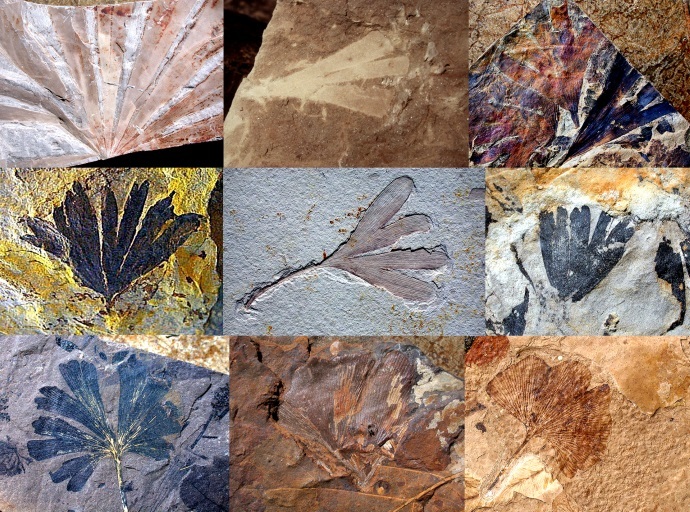 Are the fossil leaves made in your stalactite experiments really fossils or just imprints?